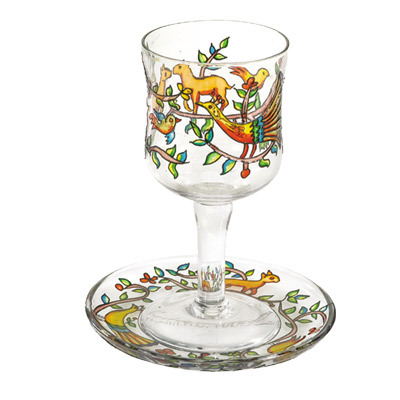 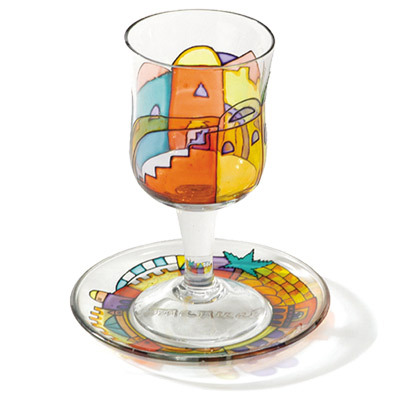 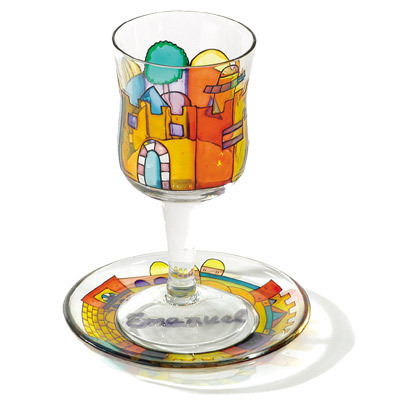 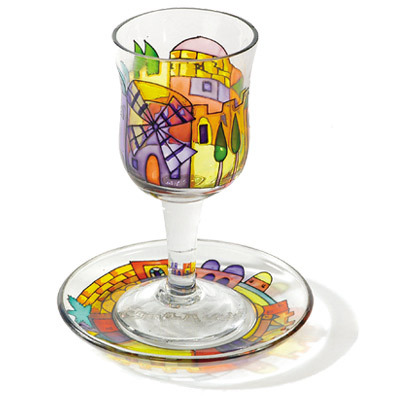 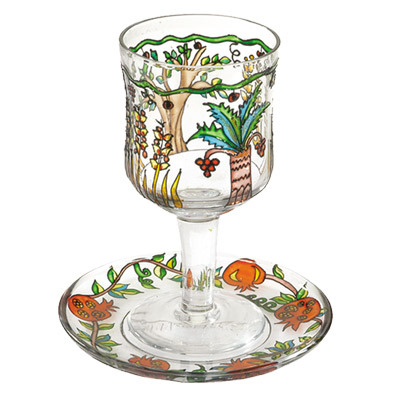 Yair Emanuel’s glass Kiddush cups are manufactured out of glass and are then painted in a unique process. 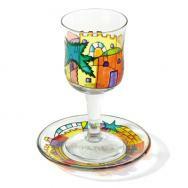 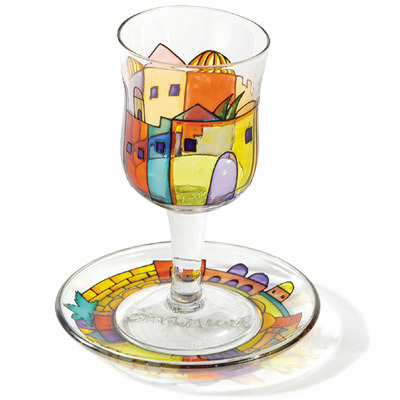 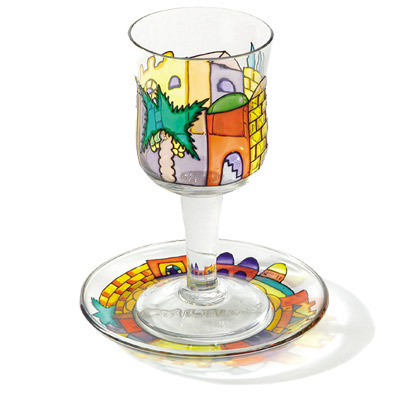 The colorful designs painted on the cups depict the city of Jerusalem, the Seven Species and oriental designs. The cups come with a matching saucer.